Medical Debt Collection Complaints on the Rise Nationwide | The Consumer Law Group, P.C. One of the most common kinds of debt people face is medical debt. While you can put off many purchases when money is tight, healthcare is one cost you cannot avoid. Whether a person has no health insurance, is underinsured, or is battling his insurance company for coverage, it is very easy to accumulate a lot of medical debt in a short period of time. While you are figuring out how to pay these astronomical bills, your healthcare provider will pass them on to a collection agency and now, suddenly, you are being harassed and threatened with a lawsuit. Is there anything you can do about it? Sixty-three percent of the complaints about medical debt collection received by the CFPB claimed either that the debt was never owed in the first place, it was already paid or discharged in bankruptcy, or it was not verified as the consumer’s debt. Many of the complaints accused debt collectors of aggressive tactics, such as frequent or repeated calls, calls to friends and family, threats of a lawsuit, or the use of abusive language. Thirty-five percent of the medical debt complaints received asserted that false medical debt had affected their credit reports. So, what can you do about mistaken debt or abusive debt collection practices? Send a certified letter to the collection agency asking for an itemized accounting of the debt. If you are disputing the validity of the debt, notify the collection agency in writing within 30 days. Starting September 15, 2017, the three major credit reporting agencies - Experian, Equifax and TransUnion - will set a 180 day waiting period before including medical debt on a consumer's credit report. The 6 month period in intended to ensure there is enough time to resolve disputes with insurers and delays in payment. In addition, the credit bureaus will remove medical debt from a consumers' credit report once it is paid by an insurer. Some credit scoring models don't penalize paid medical debt from any source. Understand the statute of limitations in your state. 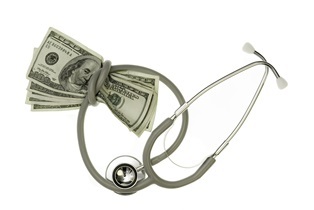 In general, you cannot be sued for medical debt that is more than five years old. Knowing if you are past this date will help your bargaining position. Contact an attorney if the harassment continues after you have sent official notice that the debt is not yours. At The Consumer Law Group, P.C., we help clients end debt harassment. If you have been unable to get debt collectors off your back, fill out the form on this page and tell us about it. If we can help, we will let you know.